Let’s get straight into the reviews this week, beginning with my return to the world of K-On, following a week’s break due to a release glut. This time around I start with K-On! !, the sequel series. I was just as eager to upgrade the second series to Blu-ray, but this time the show went to Sentai Filmworks, and it was of interest to see just how they would treat the show compared to Bandai in terms of image quality, audio quality, and subtitling. It’s still the five girls having inconsequential fun with their school band, and this second season looks at their final year of high school. 27 episodes covering one year, compared to Season 1’s 14 covering 2, so you can expect a dilution of musical content, and an upping of the slice of life content. 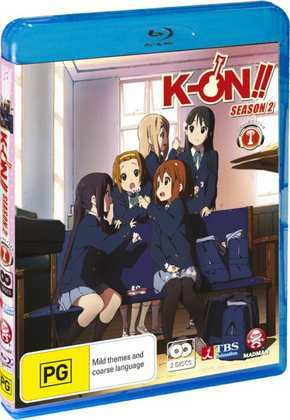 Click on the review for the K-On!! (Season 2) Collection 1 Blu-ray to see how much of a difference that makes. Next up it was Harlock Space Pirate, which is coming to the UK on DVD, and on 3D/2D Blu-ray Steelbook, the latter of which I reviewed. It’s also a bit of a controversial release in that only the English International Cut is on the Blu-ray, while the domestic Japanese version, plus extra feature is on the bonus DVD. I took a look at both versions to see how the classic space pirate story would be updated for modern sensibilities after some thirty years. The immediate change is the 3D CGI characters and world design, but the story undergoes some drastic changes too. Finally it was the turn of Sankarea: Undying Love. I always look forward to something I haven’t seen before in anime, a new story, or a new way of telling stories, and I have to admit that a romance between a young fan, constantly geeking out at all things zombie, and an actual, honest to goodness undead zombie girl, is something I’ve never seen before. This release has taken its time in getting to the UK, following an initial snafu by Funimation in the US, releasing the wrong version. Click on the review to see if it’s been worth the wait. I’m trying something a little new from this week, and not just because I can foresee a paucity of review titles in the weeks to come. I do actually re-watch some of this anime stuff, and I thought I’d share what it is that I’m watching in a particular week, a reminder of reviews past, on the off chance it might stoke some interest in bygone anime, place an order or two for a re-release, or inspire a gander through E-Bay for some second hand copies. Paniponi Dash! School sketch comedies are a constant mainstay of the anime scene, and the gold standard is Azumanga Daioh. Paniponi Dash is no Azumanga Daioh. It’s more anarchic, energetic, zany, and surreal, while its 11-year-old child teacher protagonist, Becky Miyamoto might put you in mind of Negima. But this is no Negima, although it does share an anime studio in common with the second Negima series. This is what Negima would be like without a storyline, studio SHAFT given free rein to go straight for the comedy jugular. It’s also a show rich with on screen text (and the necessary subtitle translations), and plenty of visual gags. You need to give this show your full attention to appreciate it. That was the problem I had when I reviewed it, the actual process of reviewing it distracting me from the comedy. This time I have no distractions, and can fully immerse myself in its eclectic sense of humour, and I can declare that... it’s alright. The humour is hit and miss, some of the jokes are gold, some fall flat on their face, and most are worth a smirk or a chuckle. I’ll always have a soft spot for the perennial goofball Himeko, and she makes each episode worthwhile, but really they are quite variable in quality. 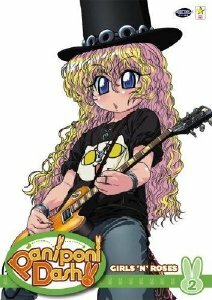 The one I watched last night, episode 8 on ADV’s Volume 2, Bear With Sansho Spice Is Like Carp With Pepper is one of the misses, as it focuses on a character named Behoimi, a magical girl with no magic whatsoever, one of the less funny jokes in the series that gets played to death. In this episode she goes on a quest to actually find some talent, some spark of personality that will make her stand out more than her costume... Anyway, here’s the review for ADV’s volume 2 of Paniponi Dash, and if you’re interested in buying the series, Funimation re-released it in the United States on Region 1 DVD, and it’s currently on their S.A.V.E. label. You won’t get any of the old ADV extras, but you can have the whole series for a smidge over £10. Madman Entertainment released the K-On!! (Season 2) Collection 1 Blu-ray in Australia back in 2012, we in the UK only got the DVD. 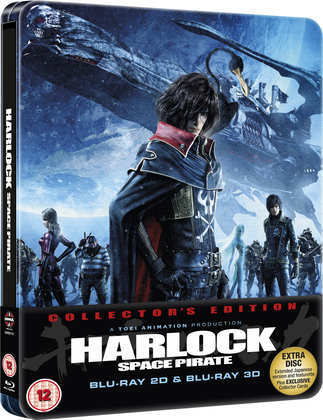 Manga Entertainment release Harlock Space Pirate on Blu-ray steelbook and standard DVD editions today, while the film has also been enjoying a limited cinema release since last week. 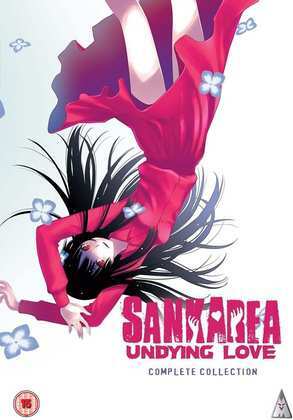 MVM also release Sankarea: Undying Love on DVD today.